The bumper and heavy fall of beech seed has lead to native birds such as Keas and Kiwis becoming increasingly threatened by the population increase of rats, mice and stoats which were introduced by early settlers. New legislation is allowing heavy conservation measures to be taken. Plans have been introduced to use the biodegradable poison known as 1080 which will be dropped over forest ecosystems in order to kill the pests. 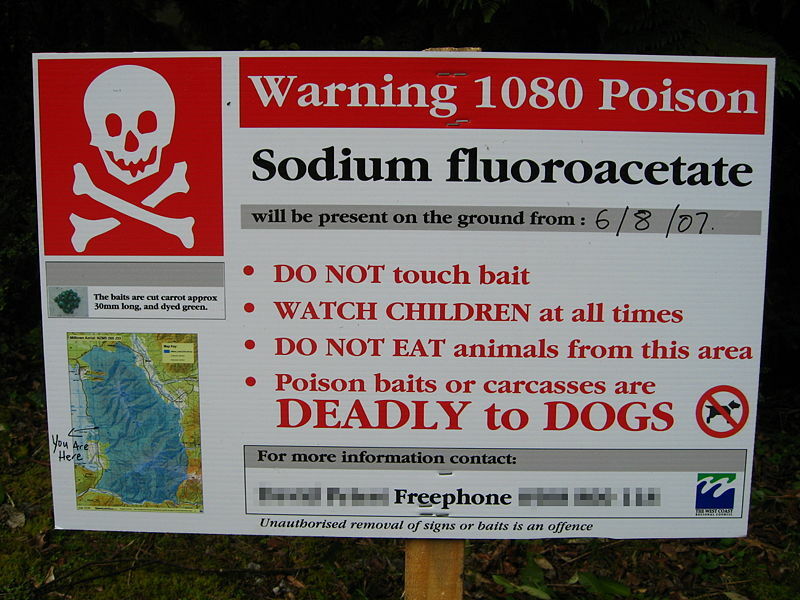 1080, also known as sodium fluoroacetate is a biodegradable poison which is mixed into baits such as greenery in order to control the number of pests. Although it easily dilutes in water and doesn’t accumulate in the food chain, 1080 has been seen to be highly controversial due to its slow killing nature ( I could take up to20+ hours to succumb to the poison) and its possible impact to other animals such as dogs or even cattle. Many people in favour of the use of 1080 believe that if unchecked and unchallenged the pest population will increase to alarming rates with rats reaching a number of 30 million, which would spell disaster for the native bird species whose chicks are being attacked and eaten by these pests. It is also a…cheaper and less costly method than providing traps for millions of pests. Now millions of NZ dollars are being poured into the ‘Battle For Our Birds’ project in the hopes that this conservation issue can be tackled. Next story Is it all good news for puffins? Please sign on the dotted line: Petitions.